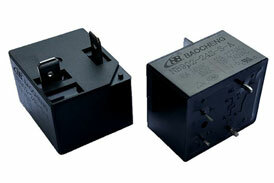 What Is The Difference Between The Working Principle Of The Relay And The Contactor? What is the difference between a relay and a contactor? Let's let Relay Electronics Wholesaler tell you the answer today. The coil of the relay is connected to the corresponding circuit according to different DC, AC, current and voltage. When the condition of the coil is met, the armature is attracted. The normally open normally closed contact is actuated accordingly, which plays a different role in the loop. Function, some relays can be charged for a long time, and some can not, so some relays in the circuit will not cause the outage of electrical equipment even if the power is lost, and some relays will not cause the equipment to start running even if it is in the electricity industry. The coil of the contactor is connected to the control loop of the low-voltage device. 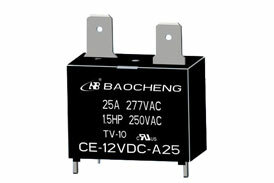 When the voltage across the coil reaches 70% of the rated value, the core is magnetically saturated to attract the armature, and at the same time, its main contact is connected to the main power supply to the electrical equipment. When the coil of the contactor loses power, the armature is released, and the main contact is disconnected to cut off the main power of the device. We have Power Relay For Sale, if you want to know more about relays, you can contact us, we will provide you with the relays that suit you according to your needs. 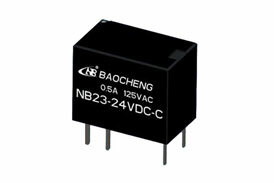 Next: What Are The Main Differences Between Relays And Ordinary Switches?